Revered as both a torchbearer and a storyteller, jazz vocalist Vanessa Rubin possesses a voice hailed for crystalline clarity, hearth-like warmth and playful lioness sass. The Cleveland native brings a wealth of diverse influences to her vocal performance from both the Trinidadian/Caribbean roots of her mother and traditional jazz by way of her Louisiana-born father. Additional homespun influences include the melodic bell tone clarity of a young Capital Records recording artist, Nancy Wilson, the fire of Lambert, Hendricks & Ross, the sweet sounds of trumpeter Blue Mitchell as well as her love of the Motown Sound…especially girl groups like the Supremes. Rubin’s passion for rich musical stories are evidenced throughout her eight albums thus far plus numerous guest appearances. Highlights include the evocative “Voyager II” from the pen of Teri Thornton, “Inside a Silent Tear” written by Blossom Dearie, a refashioned waltz version of John Coltrane’s “Giant Steps” lyricized by New York Voices and an arrangement of “Superwoman” by Stevie Wonder insipired by the Ahmad Jamal recording of “Poinciana”. So while she has one foot planted in tradition – sticking close to timeless melodies and exquisite vocal forms – Rubin waxes adventurous, embracing stories lesser told while employing lessons of acclaimed storytellers in song such as Carmen McRae, Shirley Horn and Freddy Cole. “They mastered the art of believability”, Rubin asserts. Additionally, Rubin continues to back her way into The Blues with an urgent appreciation for soulful mentors like Etta Jones and Irene Reid. Also among her current endeavors is highlighting and interpreting well known, obscure and new lyrical works of composer/arranger/pianist Tadd Dameron. “I hope to do for Tadd’s music what Carmen McRae did for Monk’s music”, Rubin explained. Vanessa’s journey to becoming a jazz singer could be said to have begun at an early age. She was characterized by her mother as always being “a very vocal child,” and knew Vanessa would, “do something with that big ol’ mouth of hers.” Coming from parents who valued academia, discipline and hard work, that “something” was meant to be law school. Attaining a BA from the The Ohio State School of Journalism in 1979 was not a disappointment. However, her decision to pursue a career jazz singing did come as a surprise. Vanessa’s fascination with language coupled with her passion for music, especially jazz, pointed her on a collision course toward jazz performance. Her “a-ha” moment came during a college beauty pageant at which Vanessa was accompanied by a very young, and even then, a very capable Bobby Floyd of Columbus, Ohio. Her first performance of a jazz evergreen, the Billie Holiday original “God Bless The Child,” garnered both rousing applause and the winning talent award. Most importantly though, it awakened what Vanessa describes as “her calling.” “I fell in love with the moment, the music, the audience and the effect it had on them and me,” Rubin remembers. Vanessa’s first gigs began around 1980 in small clubs around Cleveland such as Tucker’s Place, Bob’s Toast of the Town, Lancer’s Steak House, Club Isabella, The Native Son and The Teal Lounge. Some early band mates included Wynn Bibbs, Skip Gibson, saxophonist and arranger Willie Smith, Neal Creque, Matthew “Chink” Stevenson and, later, the uniquely soulful organ quartet of The Blackshaw Brothers with Cecil Rucker on vibes. “We worked 8 days a week all over Cleveland catching the tail end of what was left over from the good old days,” Rubin recalls. After two years, Rubin was anxious to set her sights on New York where she earnestly and humbly soaked up the tutelage of many veterans like Pharaoh Sanders, Frank Foster and Barry Harris. In 1992, Rubin signed to Novus/RCA Records recording five albums, three of which reached #1 at radio. Her debut recording Soul Eyes (1992) was produced by the venerable Onaje Allen Gumbs. Her sophomore recording, Pastiche (1993) showed off her horn like abilities interacting with an all-star sextet which included jazz legends Frank Foster and Cecil Bridgewater. I’m Glad There is You, A Tribute to Carmen McRae (1994) followed, finding Vanessa couched in beautiful string arrangements with jazz luminaries Kenny Burrell and Grover Washington. Her fourth release Vanessa Rubin Sings (1995) was intimately guitar based. It was easy to see Vanessa flourished on Novus with the muscle of parent company RCA Records behind her. However, when the Novus label folded between her fourth and fifth recording option, Vanessa was invited to stay on at RCA to record her fifth album, New Horizons (1997) – a new more contemporary sound. This move, predictably, was not heralded by her jazz base but gained her a new audience with smooth jazz/NAC fans. She next recorded two mainstream CDs for Telarc Jazz: Language of Love (1999) and Girl Talk (2001). Full Circle (Creative Perspective Music – 2013), her most recent release, is a joint project of Vanessa Rubin and saxophonist Don Braden, both of whom are from the Midwest and share a deep appreciation for the Hammond B3. Rubin has also grown to recognize the importance and advantage of writing. “When it comes to finding your style and sound, it helps to have your own stories.” she shares. “And in order to do that, you just have to live! I’ve always been conscientious about my choice of repertoire. Even more so now. I need something substantive and honest to sing.” A turning point was composing her first original, “No Strings Attached”. Other originals by Rubin featured on her recordings are “Once Was Not Enough”, “If You Ever Go Away” and “Are You Ready For Me?” She also penned the first set of lyrics to Frank Foster’s “Simone”, Wayne Shorter’s “Speak No Evil” (vocally re-titled “All For One”) and Tadd Dameron’s “The Dream Is You” (vocally re-titled “Reveries Do Come True”). That singing jazz would lead to acting was in no way a strange transition for Vanessa Rubin. “We are all actresses,” Rubin remembers from a conversation with the Carmen McRae. “I’ve gotta have some drama,” shared in another coveted conversation with Nancy Wilson. Both celebrated veterans ventured into acting for television and film. 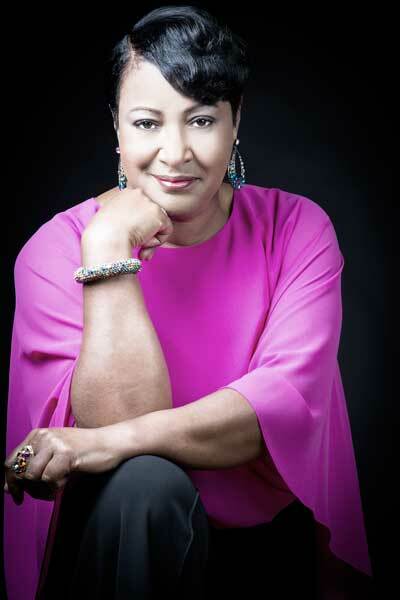 In their emboldened footsteps, Rubin has enjoyed for several years now performing the play “Yesterdays: An Evening with Billie Holiday” written by Renee Upchurch and directed by Mr. Woodie King Jr. This one woman show about the life and music of the most legendary of jazz vocal immortals netted Ms. Rubin a 2011 nomination for a Kevin Klein Award for Outstanding Lead Actress in a Musical. Rubin continues to be a favorite at jazz clubs and festivals here in the US and abroad. Her work as a producer and educator/clinician with youth in communities as well as in educational institutions worldwide is ongoing.